Click here for property tax amounts. We have arranged with INSTANT PAYMENTS for you to conveniently pay your property taxes on line using an E-CHECK or CREDIT/DEBIT CARD. Property taxes can be paid by an automatic withdrawl of funds from your checking account (E-CHECK) for a Convenience Fee of .49 cents per parcel. You may also pay using a Debit or Credit Card with a minimum Convenience Fee of $1.50 or 2.5% of the tax whichever is GREATER. 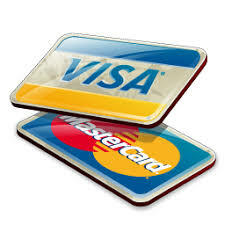 The convenience fee represents the fee charged by the credit card company for processing the transaction. The penalty for 2018 delinquent taxes is the greater of 2.5% or $10.00 for each parcel. The penalty will be reduced to the greater of 1% or $10.00 if all 2018 delinquent taxes and the 1% penalty are paid on or before January 31, 2019. Interest will be charged after January 31, 2019, effective January 1, 2019. Click 2018 Delinquency for list.